I was invited a short time ago to attend a museum education seminar titled “Dealing with Fiction Science without Muttering or Cursing”. It’s educational purpose was to deal with questions about ideas museum educators don’t like including “astrology, UFO’s, Moon landing denial, crop circles, doomsday scenarios, and creationism”. The secular world apparently thinks of Biblical creation as a kind of aberrant thought pattern that was created (no pun intended) for the sole purpose of frustrating science teachers. The seminar title speaks volumes to us about the arrogance of science educators and their rigidity in rejecting anything that diverges from their paradigm, especially thoughts of God. Then yesterday I attended an Answers In Genesis seminar and was once again inspired by Biblical apologist Ken Ham to defend the truth. Truth is a powerful weapon against the intellectual terrorism of the establishment. Establishment types don’t know what to do with truth because they are so accustomed to the general public’s gullibility in accepting atheistic storytelling. I was fortunate to be living in California in the late 1980’s when a much younger Ken Ham moved from Australia to help the Institute For Creation Research in San Diego. It was Ken who convinced us that creation and Genesis was foundational to Christianity, but I thought he was wasting his time preaching to the choir traveling and teaching at churches whose congregations should already be creationists. I should have known by my personal experience that I was wrong. Christians weren’t grounded in Biblical knowledge even then. They knew the Gospel but didn’t know the roots of it. In a generation, the roots whithered and the bold witness of Christians for Jesus had become less certain. Ken gave us a list of truths that are derived only from Genesis. For example, why is marriage between a man and a woman? Genesis says husband and wife join to become one flesh. That’s because Eve was created from Adam’s rib to become a separate person. Marriage reunites what was once divided…the man and woman brought back together as one reunified whole. Without a Genesis perspective, marriage becomes any two people, just as secular humanists are now redefining it. Ken Ham was not just teaching a theory about scientific origins. He was trying to restore and renew the roots of Christian life. He has created quite a legacy. Through countless missionary journeys to countless local churches, he struck a chord with some that the Genesis message had to be preserved. He almost single-handedly raised millions of dollars to create the ultimate Biblical apologetics museum, The Creation Museum, in Kentucky. His next multi-million dollar effort is the Ark Experience under construction and scheduled to open next year. 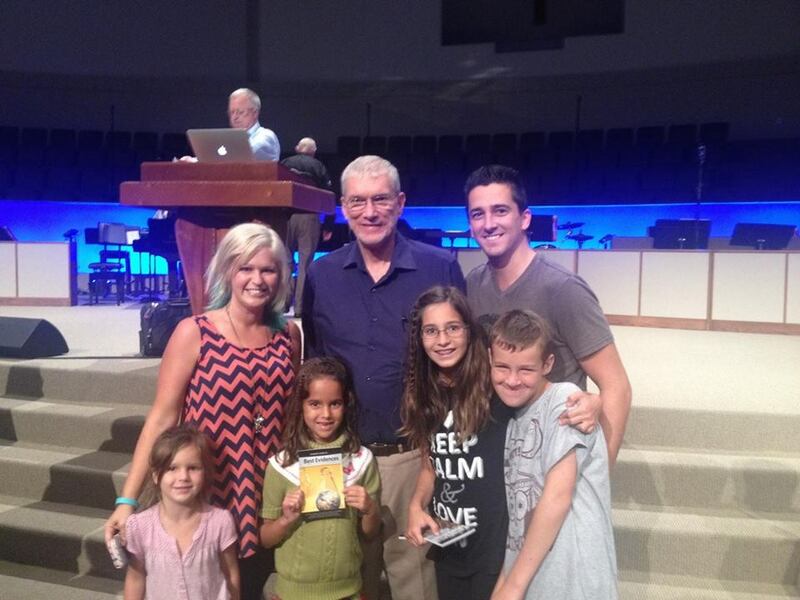 I find myself regretting that we in the church didn’t do more to join with Ken Ham and multiply his fruitfulness. Yet, in spite of the evidence of the church failing to fully represent our Lord, Ken Ham has remained an energetic advocate for the Christian church as the visible embodiment of God’s kingdom on earth. He hasn’t been discouraged and has never wavered. CreationXpo is a small part of Ken Ham’s legacy…his missionary satellite to the rural outlands. We could use help to fulfill our purpose in promoting Biblical worldview literacy among the churches in our region. You could be a spiritual ambassador to your local fellowship. Help us build up the next generation to apply Biblical truth to every area of life.